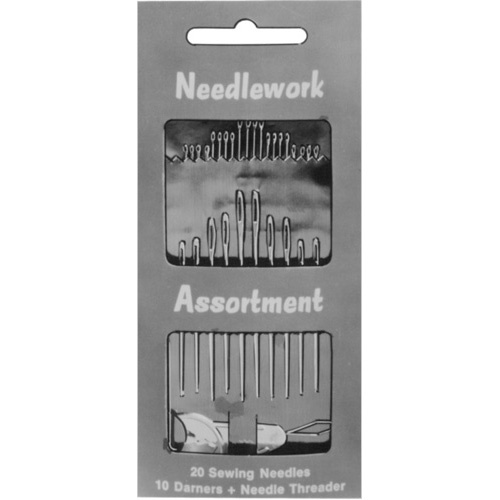 Each kit contains 25 assorted handsewing needles. 10 each #7, 10 each #5 and 5 each #3. 12 kits to a box. box cannot be broken. Weight per box of 12 cards UPC No.